This page contains all the three subcategories in one. For many game and demo projects I wrote libraries. In retrospect many of them are not really libraries, as they where only used in one project and I will not use them elsewhere. However the projects listed here are worth to be used. My be even for you. 2013/10/09 - 2014/07/08 JoFileLib A small library to load things I liked to load: png, tga, pfm, json and a binary json-like file. I still do use it, but there are so many libraries which can load a lot more files that this project is a bit outdated. 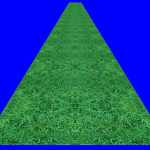 2014/08/20 - now Epsilon-Intersection My math library for games and renderers. It contains a vector/matrix class, a lot of intersection and distance functions and many utility functions for vectors and scalars. Fixpoint and half types are planed for the feature. I encourage you to use this library. It is mostly tested (I expect this is my project with the fewest bugs) and I am always happy for feature requests. In this category you can find all my projects I classified as games. The table is not filled complete, so over time I will add pages for projects in the past. Just playing around with techniques produces demos. The nice thing is that even with a little time the outcome can be shown and a project is ready. So I recommend you to write demos too! 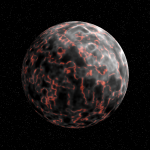 Source: LavaMoonSrc.7z I wrote this demo for a lecture in Shader development. It is a single pixel shader which gets the time and a rotation matrix as input and creates a moon with animated lava in a space with stars. Source: DeferredRenderer.7z This is also a demo for a lecture which shows a model with 2000 rotating lights around it. 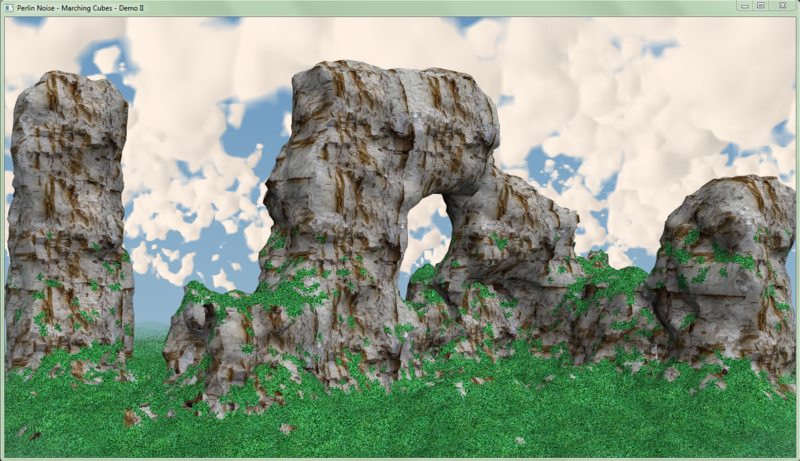 The total effort to write this renderer was 4.5 h. Still, it is running on my IntelHD 4000 with over 60 FPS. 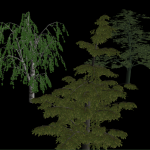 Down Sampling I tested different method to compute a mipmap chain. I tried very complex filters but in the end the Median was the best. The standard - averaging the 4 parent pixels - produces a grey color. Whereas the median keeps a higher saturation. Marching Cubes This was one of my first experiments with value noise functions. 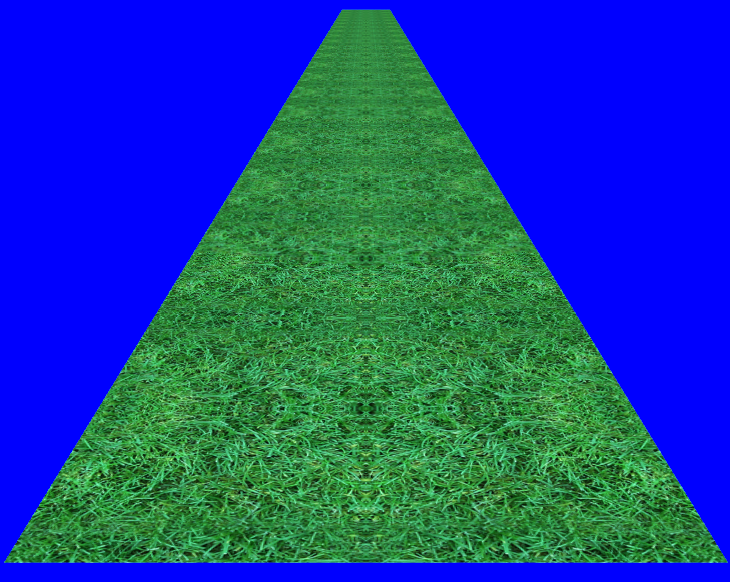 I implemented a marching cubes which generates a connected mesh (no vertex is created more than once). 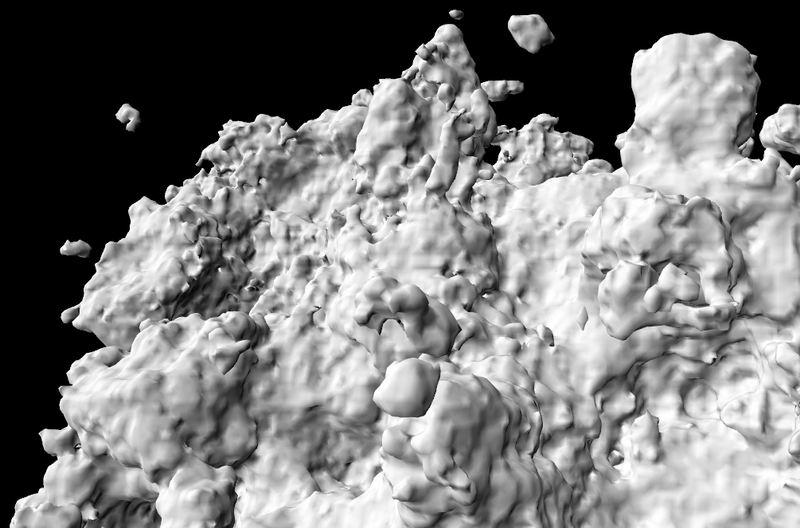 Cloud 1 Again a noise function and marching cubes. This time textured with a variant of triplanar mapping without interpolation. 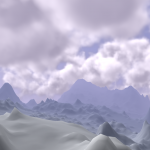 And finally particle based volumetric clouds. 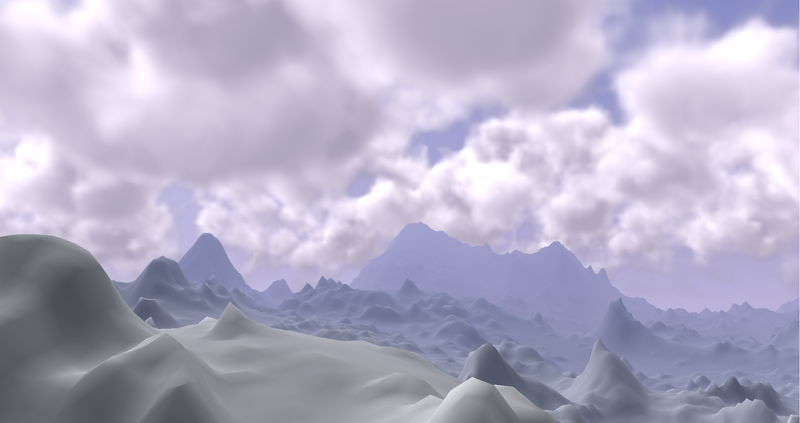 Binary: VolumetricClouds.7z Really volumetric clouds with ray marching. 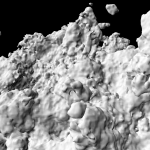 This demo is optimized so that it can be used in realtime applications. Even though each pixel is expensive it runs with more than 60 FPS with a resolution of 1920x1080 on my IntelHD 4000 chip. 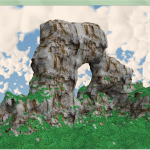 You can move with WASD, rotate the camera with the arrow keys and increase/decrease the amount of clouds with +/-. 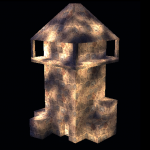 © The resources (textures) are made by myself. 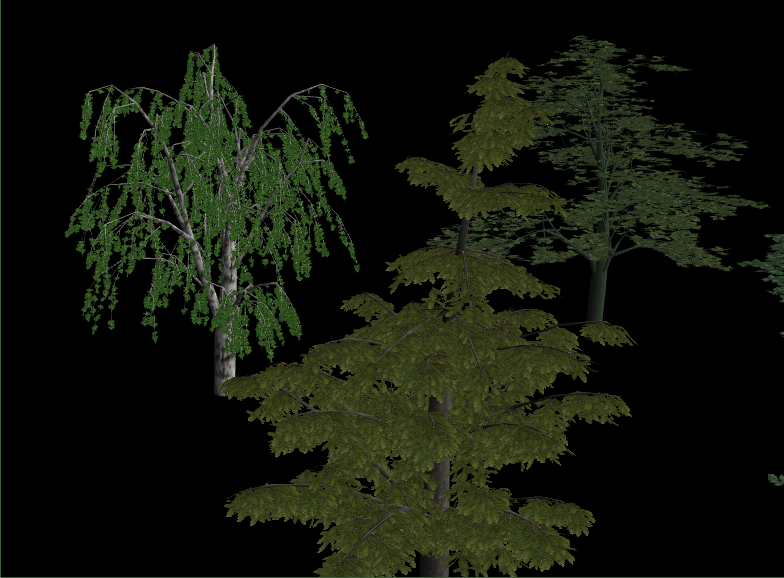 4 different trees generated with my second generation tree generator (Treefolk 2). You can move with WASD and rotate the camera with the arrow keys.